That's why it's important to make sure your drivers are properly prepared for roadside inspections — and understand the consequences of a failed inspection. (1) 20-minute, closed-captioned DVD - The program combines engaging video and editing technology with expertise from industry professionals at all levels. Includes 40 minutes of DVD bonus materials. (1) Instructor Guide - Provides you with background information and training tips to make the most of each training session. 16 pages. 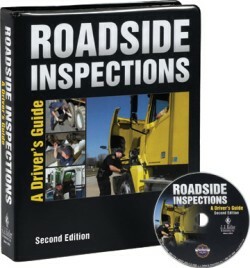 (11) Driver Handbooks - Review key points and include a quiz to check drivers' understanding of the material. 20 pages. (1) Trainer Tools CD-ROM - Includes PowerPoint® presentation that can be used as is or customized, along with handouts, quizzes, clip art, posters and a training log. (1) Awareness Poster - Hang in a break room or training area to remind employees that the rules are in effect 24 hours a day, 7 days a week. Commentary – Offers additional interviews by industry professionals. 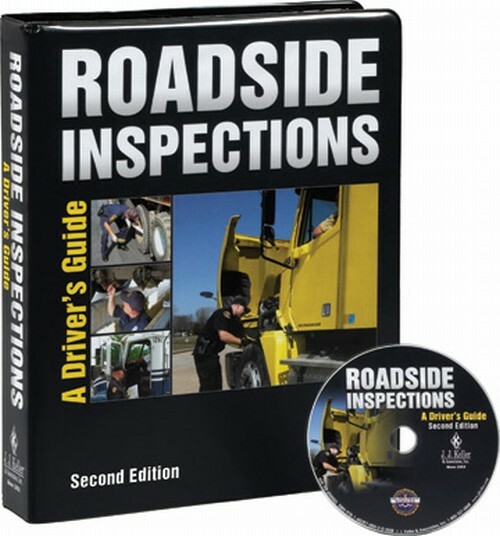 One failed roadside inspection can lead to a driver or vehicle being placed out of service, and that can result in more of your drivers being selected for inspections. Plus, CSA will be placing a much greater importance on the results of each and every road inspection - good or bad. That's why it's important to make sure your drivers are properly prepared for roadside inspections - and understand the consequences of failed inspections. Good roadside inspections mean your carrier is receiving good safety data in the CSA system.